Inside this best-seller, you'll see. . . Imagine having your money stashed away in a private account . . . an account that is far out of the hands of the overreaching government, greedy lawyers, dangerous hackers and even a jarring stock market correction. Imagine that money automatically growing at an incredible rate (think double digits) . . . tax-advantaged . . . day after day, month after month, year after year. And imagine using your new money to create the lifestyle you've always wanted. Sipping a margarita in a sunny tropical paradise, cruising Europe in a German luxury car, or perhaps just retiring years younger than you ever thought possible (and being proud you can pass your family fortune on to your kids). Best yet . . . imagine doing all the above . . . with Uncle Sam's legal stamp of approval! You just need to know the right steps to make and when to make them. The ultra-rich, people like George Soros, Warren Buffett, and Mitt Romney, use their highly paid attorneys and accountants to do it all the time. Until recently, most people have thought this type of world was too expensive, too complicated and too dangerous for them to navigate. Well, that simply isn't true, as you will soon see! Hi, my name is Ted Bauman. And I am here to tell you that not only is this type of life attainable for you, but that you can achieve it easier than you ever thought possible — no matter your age, income or education. I'm certain about this because I've known hundreds of people who are already living this exact life I am describing. And I can personally use these strategies to protect and grow my wealth in a better way than what is available through the local stock investment broker and big U.S. banks. You see, there is a little-known world where money is kept safe and private while the returns can often leave the typical U.S. investments in the dust. A mystifying world filled with asset havens, offshore banking, legal entities and a host of other vehicles that give the uber-wealthy an edge. A world that has been reserved — up until now — for the top 1%. . .
Well, today, I am going to show you how to cash in on this privileged world so that you too can get all the benefits. Well, it starts with you getting a free copy of the best-selling book I co-authored with my father . . . Where to Stash Your Cash (Legally). This 584-pager normally sells for $79. But today, right here and right now, you can get it FREE. This $79 Book Away for FREE? My father and I are living a sovereign life of freedom and prosperity . . . and we are inviting you to join us! As I said, my name is Ted Bauman. But it's my father's name, Robert Bauman, that might ring a bell. He spent 8 years as a Congressman during the 1980s. 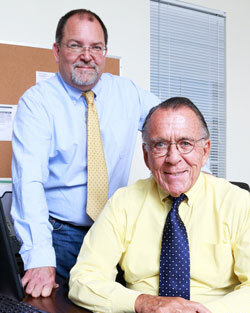 And for more than 20 years he has served as the legal counsel for Banyan Hill Publishing. Additionally, my father is the author of numerous other books on second passports, Swiss money secrets, lawyer-proofing your life, offshore corporations and more. His articles and essays have appeared in The Wall Street Journal, The New York Times, National Review and other media outlets. But this book — Where to Stash Your Cash (Legally) — is his favorite. As for me, I bring to the table a "boots on the ground" perspective. I've spent my life living internationally studying the secrets of the wealthy so that I could live a sovereign life — a life of freedom and prosperity. Through my travels to 75 countries and living internationally, I've seen it all. I've seen countries on the verge of a massive economic boom and countries that are on the verge of an economic bust. I've seen people swarming to cities that are flourishing and I've seen ghost towns that serve as a memorial to what once was there. And that leads me to why — despite selling tens of thousands of copies of the last 7 editions of Where to Stash Your Cash at $79 — we are giving this new 9th edition away for free. Now, more than ever, we the citizens of the United States of America are under a monetary attack. A silent attack from within that robs us of our financial privacy, protection and prosperity. Adding insult to injury, this attack is being done in the name of the "common good." Now, my father and I love America. I'm sure you do, too. But at this very moment, the American Spirit of free enterprise is being crushed, and to do nothing is not an option. One Free Book at a Time. Our book — Where to Stash Your Cash (Legally) — gives you the ammunition you need to stand your ground. 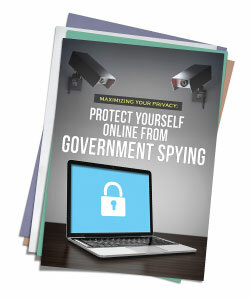 It details how you can protect what you have worked so hard to earn by keeping it private and "hidden," and also to help you invest in lucrative places you never thought about putting your money. For decades, most people thought these strategies were fit only for the top 1% . . . of the top 1%. But now, thanks to modern-day technology, you can stash your cash using many of these vehicles from the comfort of your living room. We give you everything you need to know in our book so you can get started at your own comfort level. We give you our top strategies along with our personal contacts' phone numbers, websites, email addresses and more. And while we could continue to charge $79 for the 9th edition of Where to Stash Your Cash (Legally), considering the circumstances, we think the least we can do is give it away for free. We have a limit of 1,000 copies to give away today . . . that's it. As you can expect, they'll fly off the warehouse shelves quickly. Here's What's Inside. . .
Where to Stash Your Cash (Legally) is designed to help you establish what I like to call, the sovereign life — a lifestyle you control — one where your money and assets are kept private and protected, while they grow at an incredibly fast rate. To illustrate what's possible for you, take a look at these 6 "Stash Your Cash Weapons" you can legally use . . . starting today . . . to grab the same advantages the uber-wealthy have enjoyed for decades. Excessive taxes are crushing the spirit of hard-working Americans. Fight for what you earned! Americans will spend 111 days this year working for the government. If you work hard, and earn more, then the "progressive tax system" in place will force you to work up to 180 days to pay your "fair" share. This should make your blood boil. However, most people simply throw up their arms and surrender their money because they believe there is nothing they can do about it. As my father wrote: "When government takes from one to bestow on another, it diminishes the incentive of the first, the integrity of the second, and its own moral authority." Heed my warning: Taxes are only going to get worse . . . if you let them. Odds are you're needlessly forking over too much of your hard-earned money to the taxman. With our book firmly in your hands, you'll be able to pocket more of your cash so you can spend it and invest it as you see fit. Most of the strategies listed below aren't for the average person . . . not because of income restrictions, but because they fail to take a few extra steps to protect their income. Ironically, a life of adventure awaits those that do take these extra steps. Here are just a few strategies that we share. . . There are dozens of other examples just like these that you can take full advantage of . . . simply by claiming your free copy of Where to Stash Your Cash (Legally). But that's not the only weapon you're getting to take back control of your life. Over the past few years, the NSA, IRS and a litany of other three-letter agencies have been tracking every one of your dollars. Here's just one of the ways they're doing it. . . In 2010, President Obama's administration along with the Democratic Congress quietly passed an act called FATCA (The Foreign Account Tax Compliance Act). It essentially allowed the IRS (the Internal Revenue Service) to become the ERS (the External Revenue Service). Our government wants to regulate every dollar you have . . . even if you live outside of the United States and earn your money in a foreign land. As a result of FATCA, thousands of offshore bank accounts were shut down by the banks themselves. They simply refused to follow the arduous FATCA law and had to close their doors to Americans. But for the sovereign person, there are clever ways to keep your money overseas with far greater privacy from Uncle Sam's prying eyes (and yes, it is legal). They're the same moves CEOs, Senators and the savvy use. These are just four of the privacy protection strategies that are listed in Where to Stash Your Cash (Legally). There are several more that empower you to keep your money "hidden." Every day, the dollar changes value. On most days, it comes as no shock that the dollar loses value. After all, it costs about twice as much to buy most items today than it did in 1985. So, just by leaving your money in a bank account, you could easily see 50% of your wealth wiped out during your retirement. Again, there are many other ways to inflation proof your assets. These are just three of them you can find in Where to Stash Your Cash (Legally). A group of 12 unelected people, known as the Federal Reserve, control interest rates (along with many other tools for manipulating the economy). 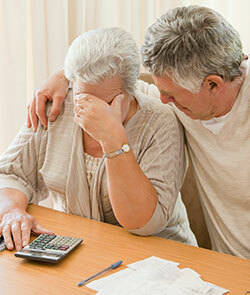 With meager returns from safe investments, many seniors are struggling to meet their monthly bills. We show you how to fight back! Well, in the name of economic stability, the Federal Reserve has lowered interest rates to historic levels in a risky gamble to stimulate the economy. However, that same gamble wiped out guaranteed income for seniors . . . by 80%. In real terms . . . instead of getting a reasonable 5% yield on a CD, you now only get 1%. Think about that. If a CEO lowered his employees' salaries by 80%, they would be outraged. But for some reason the majority of senior Americans just accept this fate. And that's why millions of seniors are forced back to work. But you don't have to stand by and take it anymore! You can fight back. In our book we show you how. . .
As you'll soon see in your copy of Where to Stash Your Cash (Legally), there's more ways to put these exciting investments that deliver hefty returns — at your fingertips. The next solution-set stops one of the biggest threats there is to your life. America is riddled with unethical attorneys who are slinging out a record number of lawsuits. Shockingly, there were 15 million lawsuits filed last year alone. That's one new lawsuit every 2 seconds. That means you have about a 10% chance of getting sued, every year. Odds are, you are a target right now. Even if you're not in the super-rich category. As long as you've got decent savings . . . a lawyer, somewhere out there, is planning to seize it. Here's how you can lawyer-proof your life. . .
And there are plenty of other places and methods to stash your cash so lawyers and other claimants can't touch it. You'll see them all in your copy of this book that gives you an extraordinary life-advantage. Weapon No. 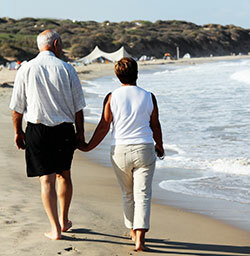 6: "Plan B for Your Money"
This tropical paradise is affordable, safe and tax-friendly. See Page 40 for details. There is little-doubt that America is not the land of opportunity it once was. Politicians have forced it to become not only a police-state (by prying on every part of your personal life) but also by becoming a nanny-state (by giving out billions every year to keep the masses happy). Again, I am proud to be an American. But there is no doubt that the American spirit is being crushed. So while I proudly choose to live here I do have a "Plan B" in case things get worse. In other words, we have the ability to escape. Within 24 hours, I can be in another country, be a citizen of that country and have access to all my money from that country. That might sound a bit crazy, I know. But today, there is a quiet exodus of millionaires and billionaires from America to foreign lands — to Europe, to Asia, to the Caribbean — for asset protection, privacy and growth opportunities. Having a Plan B like this is easier than you may think. Besides your safety and peace of mind, there's another perk to this: You can retire overseas and enjoy a tranquil, relaxing lifestyle where your cost of living is 20% to 50% less than it is America. In your copy of Where to Stash Your Cash (Legally) you'll discover how to find your own oasis of safety and serenity such as. . .
As you flip through the pages of Where to Stash Your Cash (Legally) you'll find more of these destinations where you can just get away and really live life. Besides these benefits, here's the most valuable part of our book. . .
We hold nothing back in Where to Stash Your Cash (Legally). Step-by-step, we tell you how to keep your money as private and protected as possible so that you can achieve maximum profits. You will laugh your money worries away, sleep well at night knowing everything is OK and watch your money grow to levels that were simply not possible using standard methods. Perhaps the most daunting part of "stashing your cash" is knowing where to start and who to trust. That is why we give you our personal Rolodex of more than 30-plus professionals. These are people we have known for years who can help you set up offshore bank accounts, second passports, international variable annuities, life insurance policies, international business corporations and even a second citizenship if you like. These are people we trust and use, and you can trust them too. Just let them know the Bauman's referred you, and they will treat you like royalty, giving you the best prices and the highest quality of service. The laws are always changing. . .
Overreaching politicians and greedy attorneys are always cooking up new schemes to make the rules more restrictive and to find ways to take what you worked so hard for. New threats are emerging right now that could strike with little to zero notice. So while this 9th edition of Where to Stash Your Cash (Legally) is a giant first step toward helping you attain the sovereign life — a life of freedom and prosperity — it's critical that we be with you every step of the way. 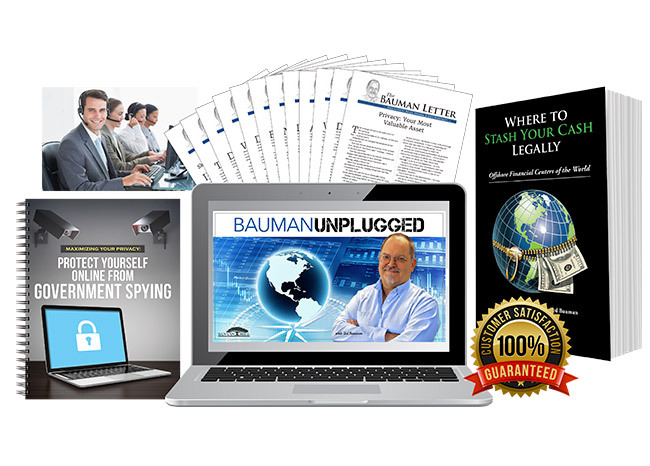 That is why, this free book comes only with a risk-free membership access to our exclusive club The Bauman Letter for an entire year. Here's what your 1-year membership to The Bauman Letter gives you. . .
Every month, you will receive a 12-page printed newsletter mailed directly from my house to your house. In that newsletter I go unfiltered. I tell you how to achieve BOLD freedom and ROGUE prosperity. I do this through giving you insight on financial privacy, asset protection, personal liberty, tax reduction strategies, investment techniques, personal security and living the sovereign life. And it's not just me you will hear from. You will also hear from my father, Robert Bauman, in every issue, along with our Council of Experts which includes international bankers, attorneys and money managers. It's like having a league of distinguished gentlemen — true professionals and insiders in your corner advising you and positioning your money like they do for Warren Buffett and George Soros. Within the next few minutes you will be granted unlimited access to the 46 incredible reports that we have already published that includes topics such as. . .
How to Protect Your Dollars With a "Dirt Bank"
Just one of these reports could profoundly improve your status in life. But you're getting 46 for free! Every week — rain or shine, no matter if I am in my home in Atlanta or traveling to an exotic paradise island — I will send you a personal email. Sometimes these are critical updates about a new law that was passed like when I wrote about the government's "Crackdown on IRAs" and sometimes it's just me venting like when I wrote about Obama's tax proposal. Every year, we hold 2 to 3 exclusive conferences — sometimes on a beautiful Caribbean island, other times it will be in Switzerland or even Uruguay. No matter where we will be this year, you are invited to join us and meet our Council of Experts one-on-one, as well as other folks like you who are savoring the sovereign life. You will also receive daily updates from Sovereign Investor Daily. These emails come from me along with a host of other contributors to help you navigate day-to-day issues for investors and savers. If you ever have any questions about the The Bauman Letter service, just give my customer service team a call. There are more than 50 friendly representatives who are ready to assist you. When your 1-year membership expires, upon your approval, your membership to The Bauman Letter will automatically renew at $79. But you won't have to pay that price today. Your first year of membership will come with a 40% price reduction. So, you pay only $49. Best of all... that $49 membership fee is fully backed by our full refund guarantee. This means that at any point during the next year, if you are not completely satisfied with the money protection and money making secrets we reveal to you, then we will give you a full refund of your $49. If you decide to end your membership, just give one of our friendly representatives a call. And we'll part as friends. And it's an incredible deal when you consider everything we are sending you for free today! Only 1,000 Slots Left Today! 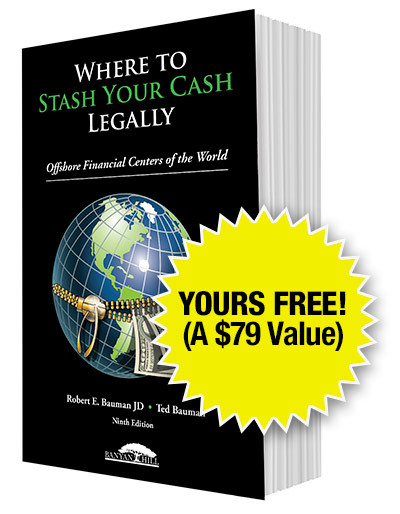 We only have 1,000 free copies of Where to Stash Your Cash (Legally) to give away. And while that may sound like a lot, please know that within the next few hours an invitation is going out to more than 300,000 people who have already told us they are eager to live the sovereign life. I can't be sure when, or even if, we'll have more copies a week from now or even tomorrow, so it's important that you act quickly. Trust me . . . we would love to give away more. . . But as you can guess, giving these books away is a major sacrifice for both my father and me. The book normally retails for $79, and all we are asking is that you try out our The Bauman Letter membership for 1-year for only $49. Remember, your membership price is fully refundable. Yes, we are leaving a lot of money on the table, but it is for a higher purpose. Well, remember when I asked you to. . . Imagine having your money sitting in a private account . . . far out of the reach of the government, hackers and lawyers? To imagine that money automatically growing at an incredible rate . . . tax-free . . . day after day, month after month, year after year? And to imagine using that money to live the life you always wanted, whether that be in a tropical paradise, traveling around the globe or perhaps retiring years younger than you ever thought possible? Your Life of Freedom and Prosperity! I've seen thousands of people, just like you, already take this next step successfully. They're people at all levels of education, wealth and age. But they did it. And it was easier and quicker than they thought possible, thanks to the tools we equip them with. Right now you're only one click of a button away from accessing these tools to start your sovereign life . . . a wonderful life of more freedom, more power and more profits. 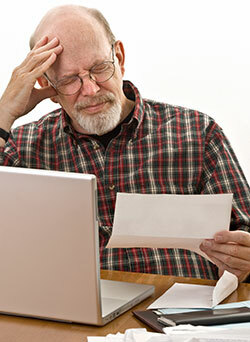 Just one of these secrets could save you thousands of dollars in unnecessary taxes. . .
Or financial ruin from a lawyer sizing you up. And just one of these secrets could help you become financially set, for the rest of your life! It's all here, waiting for you. That's because I expect all copies of Where to Stash Your Cash (Legally) to be gone shortly since we're giving it away for free. So claim your copy now before someone else does. Here's how to do that. . .